High school and middle school athletes will resume practices tomorrow evening, Monday Sept. 4 and will continue throughout the week. Please contact your child's coach for scheduling if they have not reached out to you already. Athletic Trainers at both East and West are in need of donations of ice and bottled water for our athletes. The rest of the week, donations can be dropped off between 8am-4pm at both high school campuses. These donations will be distributed among our high school and middle school campuses. 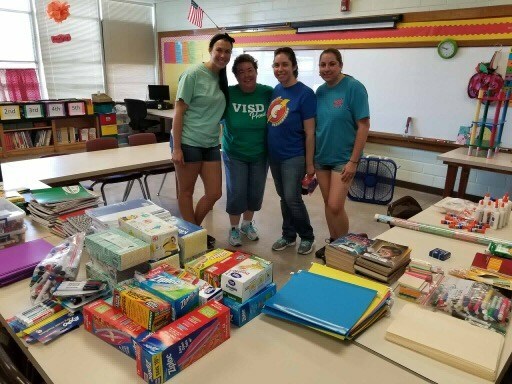 Our VISD employees make sure to take care of each other, even if they are from different campuses. 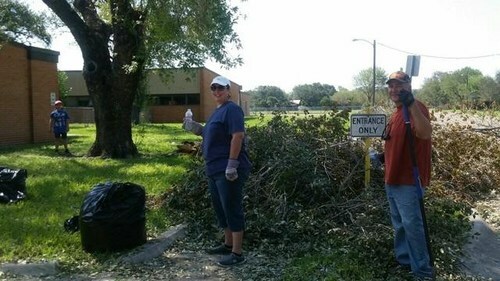 We have received several questions asking if the VISD will need volunteers this weekend for campus clean ups. We will NOT need volunteers this weekend. We would like to take the next few days to work extensively with our maintenance crew to review each of our campuses and their current state. We are very thankful and appreciative of everyone from the community who came out this week to help prepare our campuses for our students. We would not be at the position we are now if it weren't for each and every one of you and your selfless acts. It is because of y'all that we are able to remain #VictoriaStrong and #VISDProud. 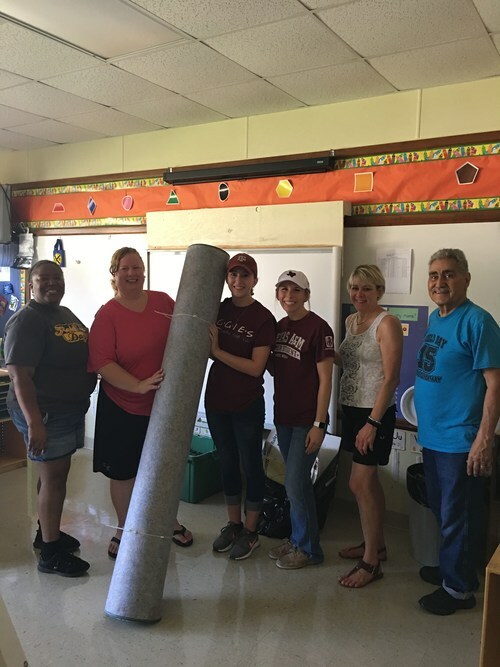 Vickers Pre-K teachers brought rugs to support F.W. Gross Pre-K classrooms after the hurricane. 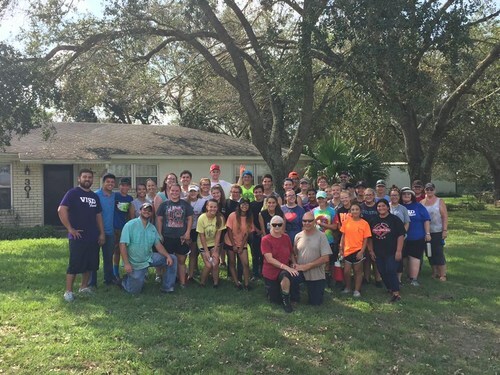 Victoria West High School Band Members clean the homes of first responders. 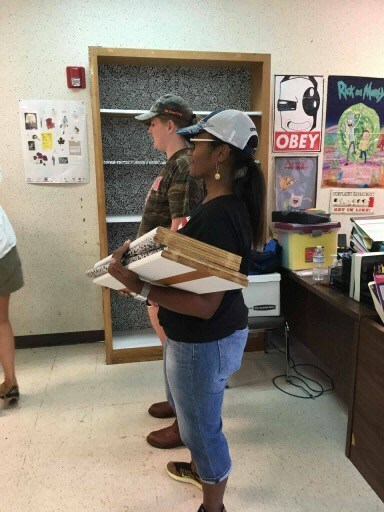 This morning, it was noted that many VWHS band members were coming onto the their campus carrying water jugs and water bottles -- to many, it looked as if they were returning to their normal practice schedule. However, we learned that these outstanding students had another plan in mind for the day. They were not returning to rehearsals. 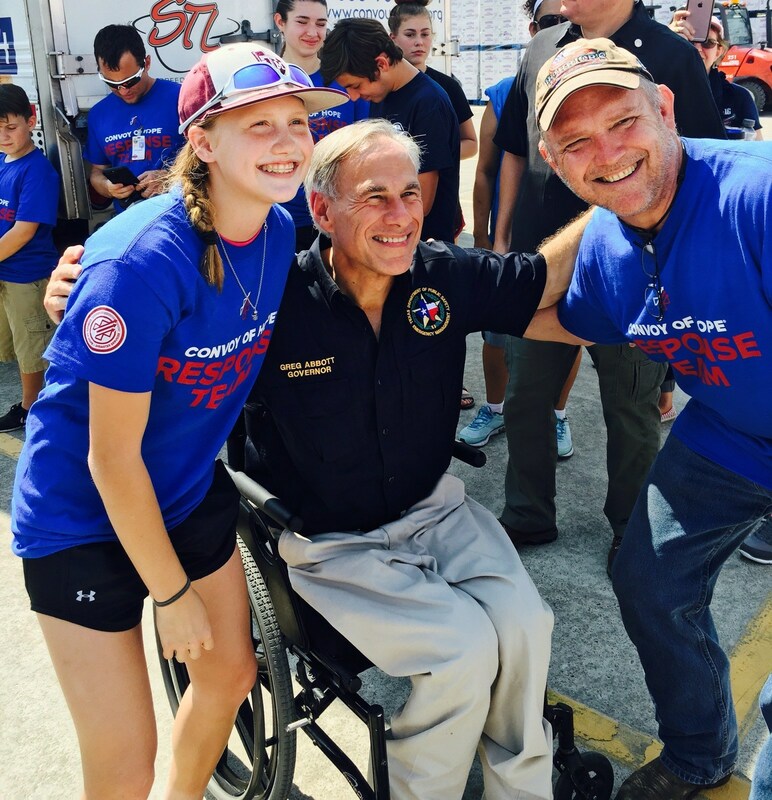 Instead, the Band of Warriors and their directors were going out to the homes of Victoria First Responders that were damaged by Harvey. The goal was to clean the first responders' homes while they were out working for our Victoria residents. So far, they have been cleaning 8 homes and have completed 5. We are extremely proud of these students and their directors for giving back to those who have worked around the clock these past few days for our community. WE ARE #VISDPROUD! We have just finished an Emergency Meeting with the Board of Trustees. On Tuesday, September 5, 2017 the VISD will resume our normal scheduled work week, and all VISD employees will report for duty at their regular scheduled times. Due to the power just returning to some of our campuses, as well as technology, phone, water resources and additional maintenance repairs still required, we will not be “school ready” for students until Monday, September 11, 2017. We also want you to know that the wellbeing of you, our students, families and community members is our number one concern, and we would never jeopardize your safety. We are working in partnership with our insurance agents, contractors and building inspectors to make certain the environment is safe and structurally sound. We would never ask you to enter a classroom or facility if it was not safe to do so. We also want you to know that all of our thoughts and prayers are with you and your families as we continue to feel the after-effects of Hurricane Harvey. We truly appreciate all of your hard work and amazing efforts in providing us the hope of returning back to school sooner than expected and allowing us the opportunity of getting back to the “business of our business.” We are also so proud and inspired by your exceptional fortitude during these trying times. While there is still much work to be done, it is remarkable to reflect where we were just 7 days ago and how far we have come since that time. All Victoria ISD staff returned to campus today to clean up storm damage both inside and outside the buildings. 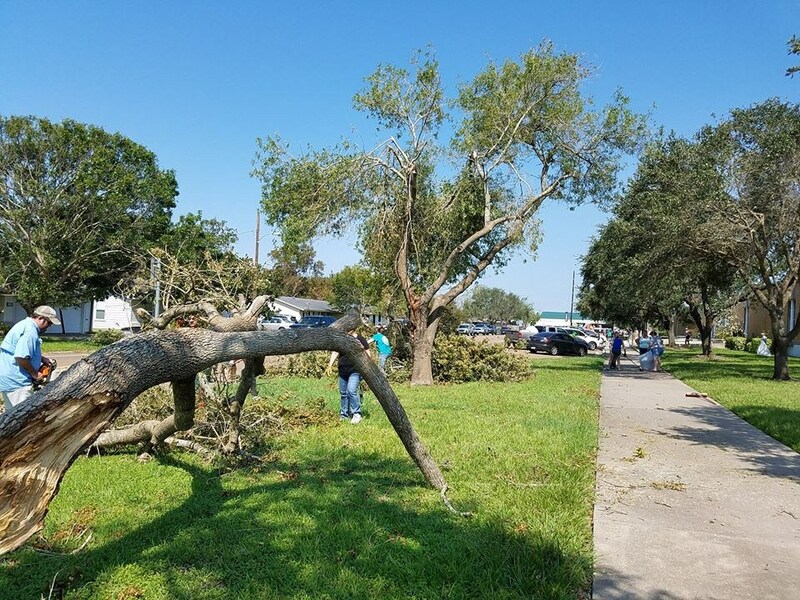 Tremendous progress was made as staff members were able to address their own campus needs and then offer assistance to those with more significant damage. 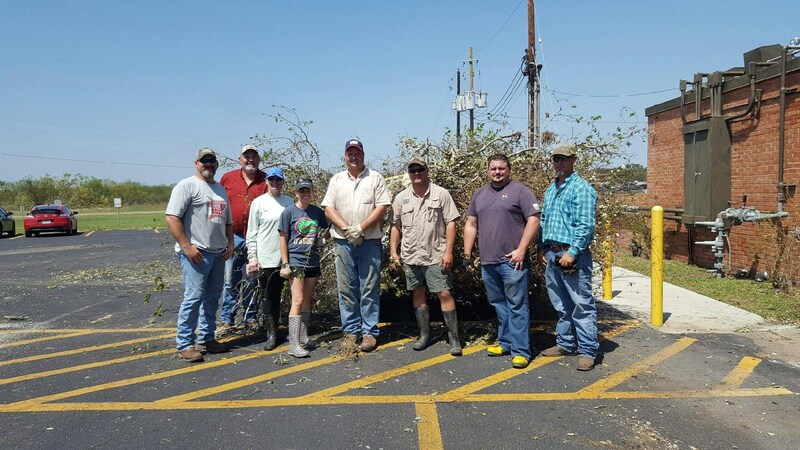 All staff (who are safely able to do so) will report on Friday, September 1 to continue clean-up efforts and prepare our campuses for students to return. Information on how to assist our district through volunteering and/or donations can be found in this section of our website. All basic school supplies including backpacks pencils, paper, scissors, glue, pens, crayons, markers, etc. Click here for our full school supply list. We truly appreciate all of the efforts today from our staff, family members, and community volunteers for showing that we are “Better Together” as we work to repair our schools and get them ready for students to begin learning again. Shields Elementary coming together -- GO Sharks! 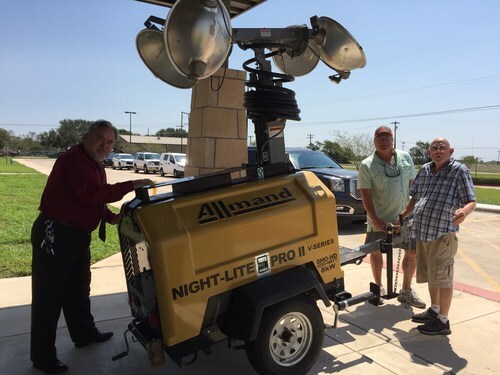 THANK YOU Mr. Mike Cox for sharing your generator to help us assist with the clean up at Torres. Volunteer Mr. Tim Roper, previous VISD employee along with current employee Mr. Armando Villarreal worked hard to shop vac up all the water they could. So thankful for all their assistance.